Home » Blog » FAQ » What Channel is ESPN on Spectrum Charter? Isn’t sports the most-watched entertainment genre in the world? It sure is. Who wants to miss those exciting and action-packed sports sessions! The adrenaline rush and the thrill makes sports an amazing entertainment genre. Die-hard sports lovers want to catch the live action. While others may settle for highlights and recorded versions. So, whether you belong to the former or the latter group, ESPN has to be your favorite sports channel. It is one of the most-watched sports channels in the world. And if you want to enjoy your favorite sports events in HD picture quality and with uninterrupted broadcast, you need to have ESPN on Spectrum. With lucrative features like DVR, you get to rewind and review the most exciting moments of the game. ESPN is an American TV channel dedicated to best sports coverage. It was first launched in 1979 by Bill and Scott Rasmussen. There is a joint venture between Hearst Communications and The Walt Disney and they own it together. Now it has emerged as a sports network. Its major broadcast center is situated in Bristol, Connecticut. Currently, ESPN boasts of being the most popular and successful sports networks across the globe. However, there’s some criticism based on accusations regarding biased coverage. Some other controversies related to broadcasters and analysts. But despite all these problems and propaganda, ESPN remains to win a massive following and sports lovers dig it. Spectrum is one of the most subscribed cable TV providers in the continental U.S. For all the sports geeks out there, Spectrum is perhaps the best choice. The said provider has managed to win a huge clientele by delivering quality, uninterrupted broadcast, and extraordinary coverage. ESPN on Spectrum is broadcasted in most of the states of the United States. In addition to the signature ESPN channel, ESPN2 is also a popular member of the ESPN clan. It also covers trending sports news, live sports, and major sports events. You can catch the highlights of the most action-packed matches. For those who don’t want to comprise on the picture quality, ESPN channels are aired in both SD and HD qualities. So, gear up to catch the best sports whether you are a Soccer fan, a cricket freak, or a Rugby lover. ESPN gives you a chance to binge-watch your favorite sports to your fill. Following is the channel lineup for ESPN channels. You can also get in touch with Spectrum customer service and ask about the ESPN channel numbers according to your city and state. If you are a sports lover, you would relate to the fact that as much as you dig football, the same way you love David Beckham. Just an instance. You love these shining sports stars just as you love the sports they play! People are literally obsessed with the lives of famous sportsmen. They want to know about their likes, dislikes, net worth, relationships, families, and even their wardrobes. Moreover, the hot moments during matches, which involve fierce arguments, make the breaking news that no sports lover wants to miss. ESPN News covers it all. ESPN NEWS on Spectrum is a must-have, especially if you have a busy life. You may not get a chance to catch the whole sports event. But that doesn’t mean you miss out on the whole thing. You can’t catch all the important news and glimpses of the best moments of a match. If you are not aware already, let us tell you that Sports News has actually emerged as a distinct genre. ESPN NEWS on Spectrum is aired in both SD and HD qualities. Just like Spectrum airs all the ESPN channels, ESPN Sports on Spectrum is also aired in SD and HD qualities. The channel covers Basketball, American football, Ice hockey, Soccer, Baseball. Golf, Cricket, Tennis, and many others. You get to catch the live action as well as recordings. So, whether you follow NBA, Cricket, NFL, Soccer, or any other sports event, ESPN Sports on Spectrum has it! 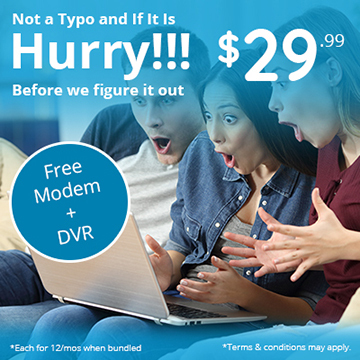 Consider getting a cable TV subscription couples with one of the Spectrum internet packages. Skim through the lucrative offers and you will know that it’s a win-win thing!